At Fidelitas this month we’ve brought in fruit from our neighborhood growers as well as our own Estate. 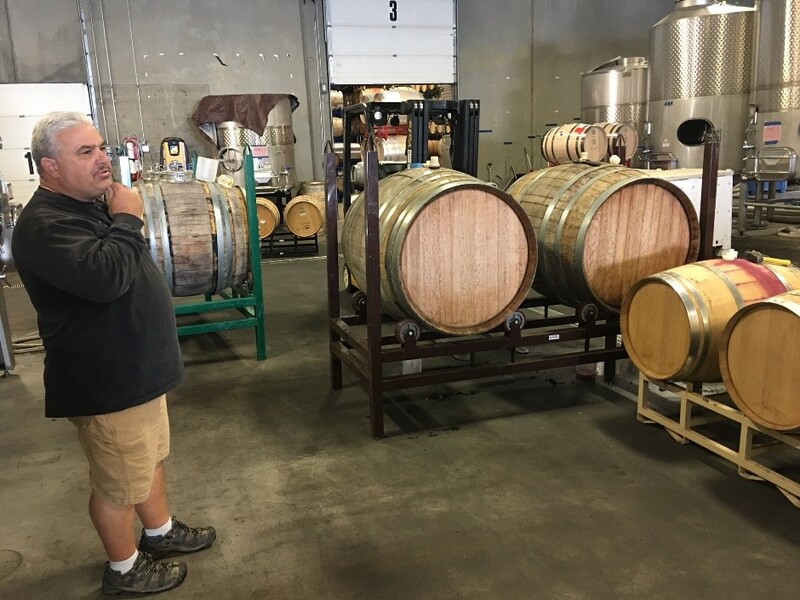 All fruit is hand-picked and then transported to our facility in Richland, where it will undergo fermentation, barreling, and eventual bottling. Here’s a brief rundown of what Charlie and the crew have been working hard on these past weeks! Handpicked clusters come in on the rakis, so upon arrival at the cellar, they will be de-stemmed and sorted. 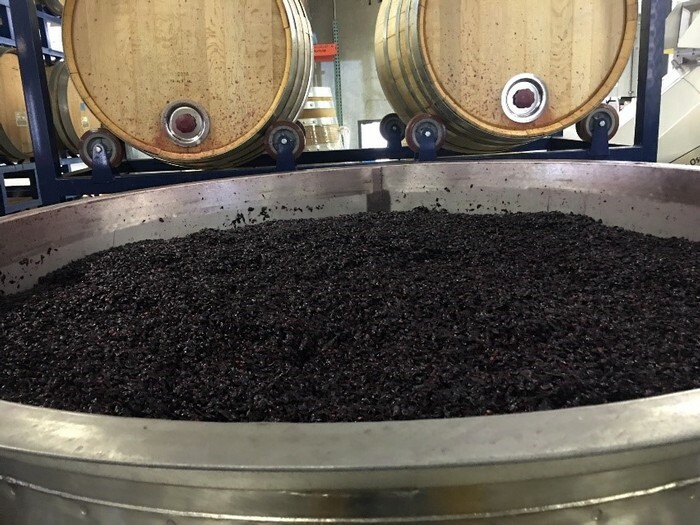 Here is some of the Fidelitas Estate Malbec after a 3-Day cold soak. Charlie and the team will pump over this fruit twice a day to ensure heat dissipation and a balanced maceration. Inoculation will occur by mixing our chosen yeast strain into each tank. Right now the residual sugar in this particular lot is sitting at about 10.1 Brix, which means it has a few days to go! After fermentation is complete and most of the sugar has been converted, the team will begin pressing the fruit. 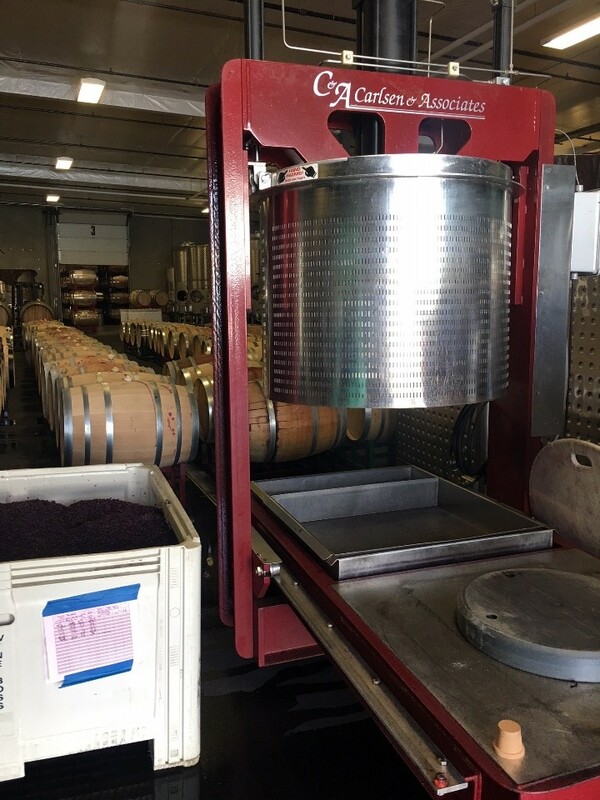 Charlie prefers to use a Basket Press shown below- this is a gentle method of pressing that doesn’t extract all the juice, but will also result in a softer extraction of green flavors and tannins. Stay tuned for this show-stopping vintage! Charlie is excited about them already! This is our first official harvest off the 2015 Fidelitas planting! One of the most exciting things of the year is pulling fruit for a brand-new vintage. Especially when it comes from our Estate Vineyard which by early next week we'll have most of the Merlot picked. Who’s ready for some Estate Merlot? 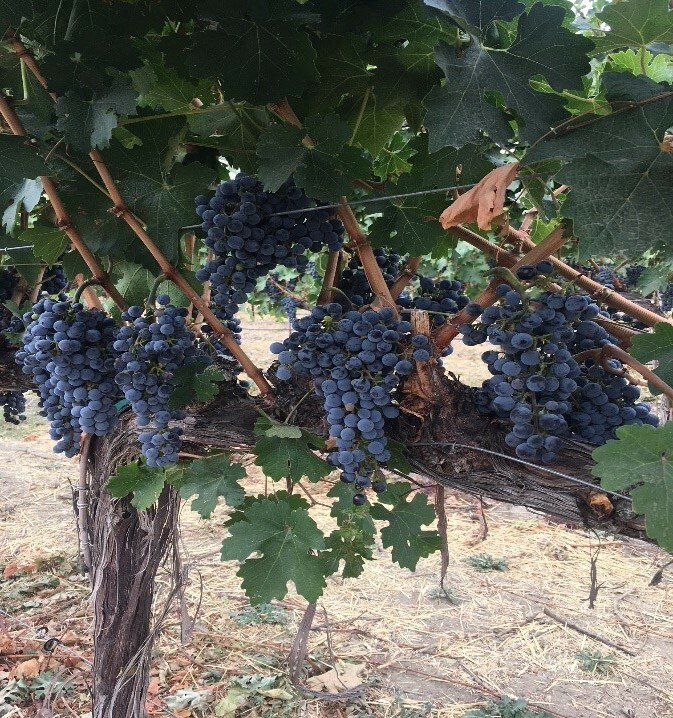 Our Cabernet Sauvignon is at 24 brix and Charlie is planning to let it hang on the vines for another 2 weeks or so if everything goes according to plan with the weather. 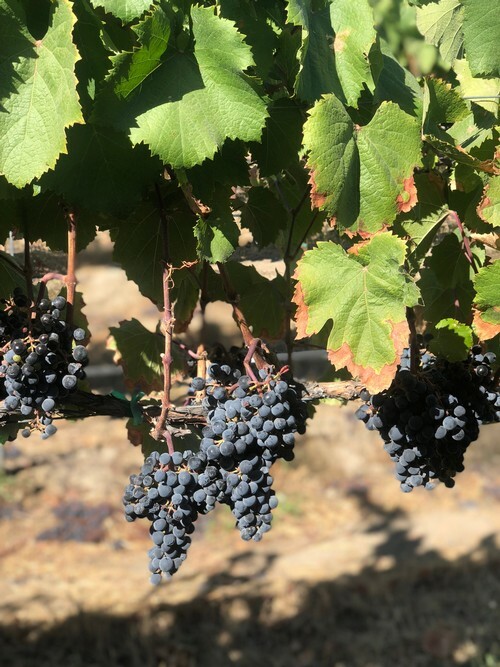 We’re getting active in Quintessence Vineyard as well, snagging some Merlot and Cabernet Entav clones 169 + 191, and hoping to pick some Malbec by early next week. Given the warm weather we had in August it has compressed our window and we are expected to be done picking by the end of the month. Woah! 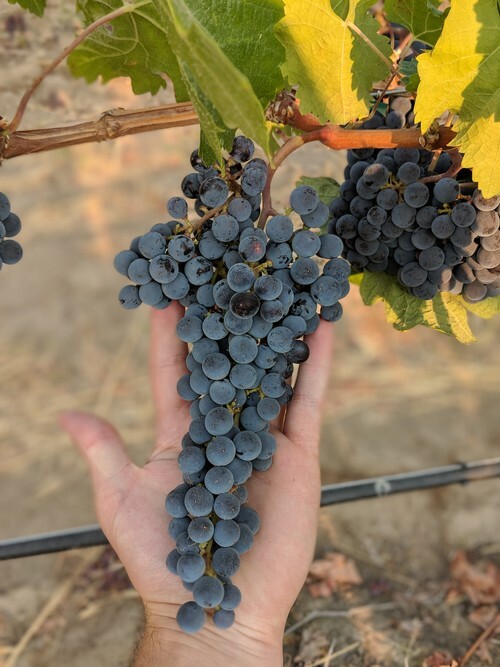 We've seen Cabernet Sauvignon ready in so many vineyards we source from that we are just going to continue to pick and move fruit into the cellar as fast as we can. As many of you know, its club processing time this week! Charlie decided to stop by to say ‘hello!’ to us girls and asked if we have listened to the Shakira station on Spotify. Turns out, this is all they have been listening to in the cellar. Nothing like dancing to Shakira on a ladder while doing Punch Down’s! Harvest 2018 is here! This year we stepped up our game and brought new elements of modern craft winemaking to our whites. 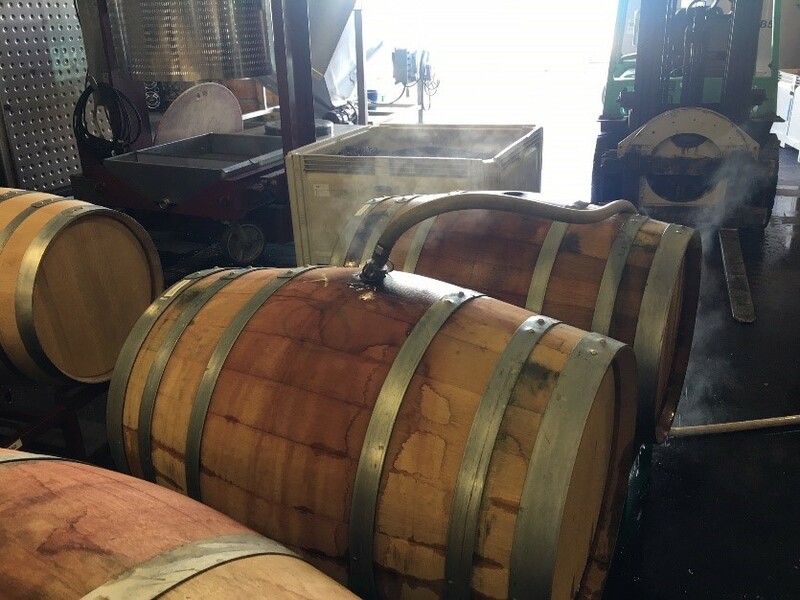 This means you get more, delicious, Bordeaux style whites from us and our crew gets to have some fun with their new toys in the cellar…win, win! 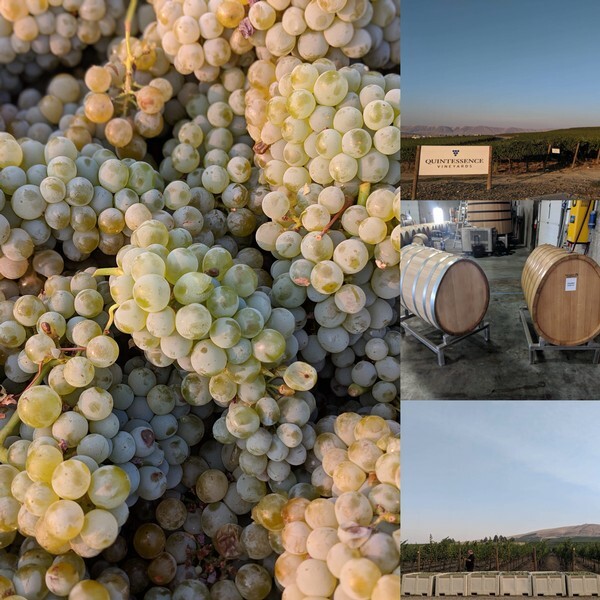 Fidelitas kicked off harvest last week with the Klipsun Vineyard Sauvignon Blanc and a little bit of Semillon. The cellar crew is fresh and full of energy, ready to get this harvest undertow! You may remember this spring when we introduced “Edith” our concrete egg. This will be her first official harvest. The egg shape increases lees contact because of the wider base and natural convection motion of fermentation. It also offers a unique minerality which will add more depth to white blends. Isn’t she a beauty?? What makes it even more special is that this is the first time ever that we are co-fermenting our Optu White blend! 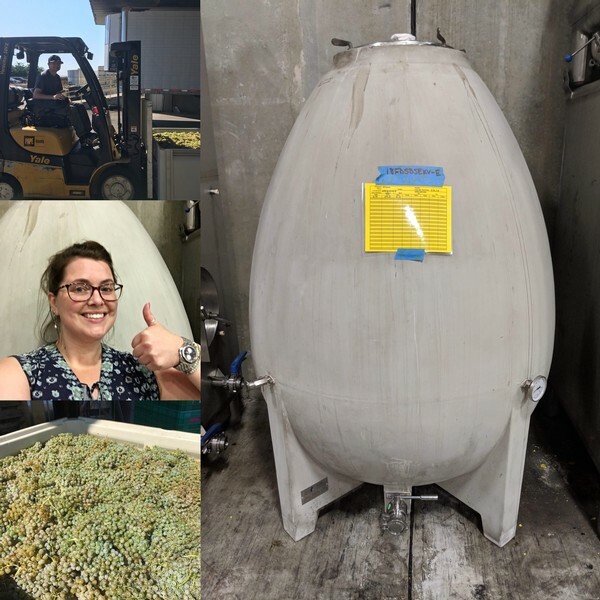 This means that both the Sauvignon Blanc and Semillon are aged together inside the concrete egg instead of being blended as separate wines. We also have lots of Optu White fermenting in barrels like previous years, but we’re excited to experiment with concrete co-fermentation. Yesterday we brought in our highly sought-after Quintessence Vineyard Sauvignon Blanc. Just take a moment to take in those plump and juicy green grapes. Today we're picking our first red, Merlot from Quintessence Vineyard, and expect our first Cabernet to come in next week. Stay up to date with Harvest 2018 updates by following us on Instagram + Facebook or check back in on our blog weekly.